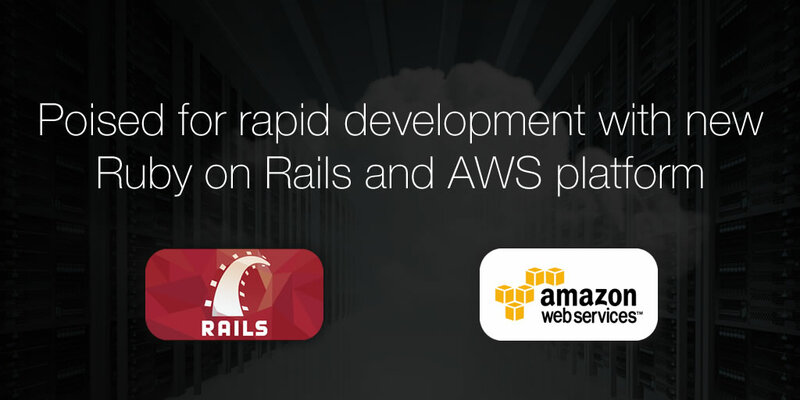 We’re very excited to announce that OnePageCRM is changing platform to Ruby on Rails and MongoDB. Further to this we are moving to Amazon’s Elastic Cloud servers; meaning all of your data will now be backed up nightly. However, this great news is not about these updates, but the fact that we’re now poised for rapid development of OnePageCRM long into the future. Ruby on Rails framework is known to make developers happy… and happy developers build better products! Using the Ruby language, we’ll be able complete work faster, use less code and maintain it easier. The functionality built directly into the Rails framework eliminates the need for clunky configuration files. With the move to Ruby on Rails now complete, implementing our RESTful API is made easy. What’s more, the development of web forms, connections to other cloud apps and mobile devices can also be rolled out much faster. The Amazon EC2 web service will provide resizable compute capacity in the cloud allowing us to quickly scale up as our user-base grows. And finally, integrations (OpenID, Google Apps, iCal etc.) which feature on the OnePageCRM Development Roadmap will be implemented easier. The move has delayed some of the main feature requests from our users over the last 2 months, but it will be worth it. I want to thank our loyal users and for sticking with us as we strive to continue to be responsive and helpful into the future. For now it’s onwards and upwards! Best of luck with the move – hope it’s all plain sailing. Hope the move of OnePageCRM to #Ruby on #Rails, #MongoDB and #AWS went weel.Please are you using #MongoDB as your sole database.This is why I am asking, I am considering using #MongoDB for project mgt app but i am not sure if to use MongoDB together with Postgresql. I will rather use only #Mongodb but it will be good to know if their are production app like yours using only #MongoDB. Yep, using MongoDB as main/sole database. If you like send us a message through the Contact page and I’ll get my CTO to fill you in with the details. Thanks Micheal and that gives me some confidence to use MongoDB as the main/sole DB. I will send a message through the contact page for more details.Best of luck.